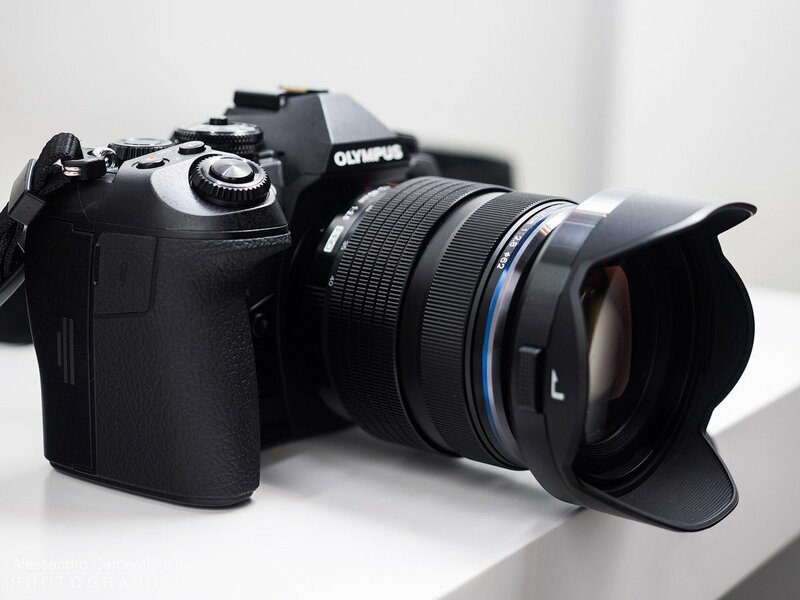 The Olympus OM-D E-M1 definitely shook up the mirrorless market in 2013, setting the standards for high quality results in a small package. Three years have passed, technology has improved as well as the competition in the mirrorless market. 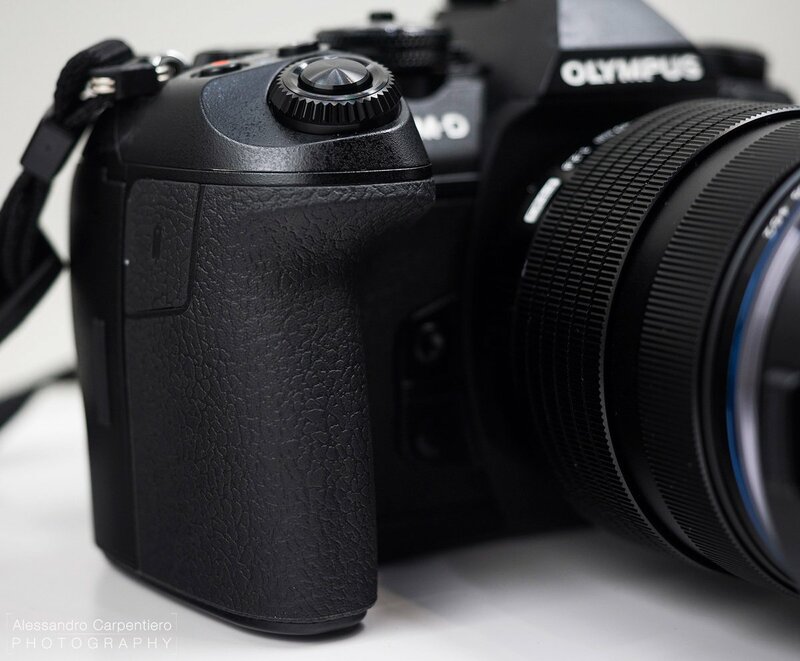 Will the Olympus OM-D E-M1 Mark II live up to the expectations? I was asking myself the same question and I simply couldn’t wait for an answer, so I took the first flight to Cologne (Germany) and visited one of the most important photography exhibition in world: the Photokina 2016. Once I’ve entered (can you believe I was the first in the line? ), I went straight to the Olympus booth: black & white graphics with all their products ready to be tested. So where’s the new camera? It is not on the market yet. 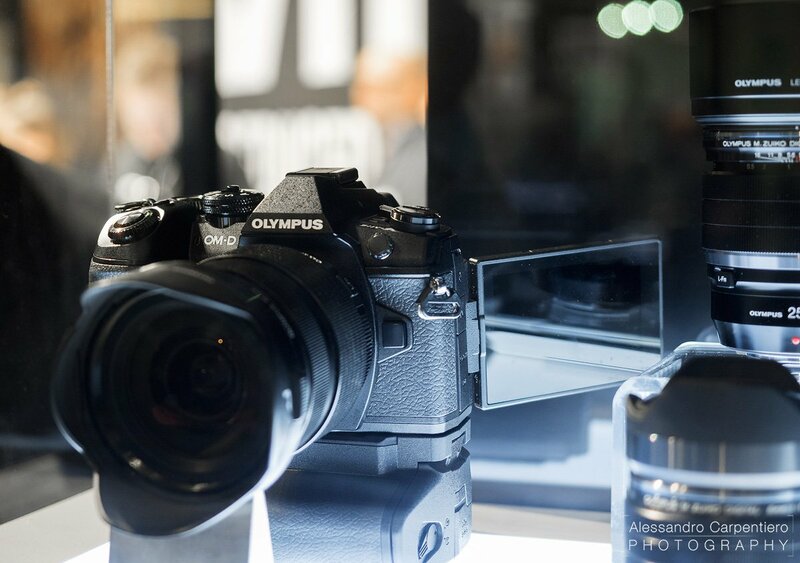 In fact the press release talks about the “Development of the Olympus OM-D E-M1 Mark II”, so that’s why it’s not possible to try it out at the booth: you can just admire its beauty through a glass. It wouldn’t have been possible to give you a proper opinion about the camera in this way, so I’ve been lucky enough to enter in the press area (big thanks to Olympus! ), where I’ve had a first taste of the camera, holding it in my hands and taking some sample shots with it. It looks a lot like the previous model, but with a more careful look it’s possible to notice some changes in its appearance. I was actually wondering how the designers & engineeres could have improved the design of the previous model, as it was very functional and elegant already but well, they did it. All the good things from the E-M1 have been kept, while introducing some little changes, which if summed up make quite a difference. Seriously, the grip it’s very deep and it will allow you to hold your camera firmly, even if you have big hands. It does make the camera a tiny bulkier but I believe it’s a right choice, especially considering that during the last few years some bigger and heavier lenses have been released, such as the 40-150mm f/2.8 and the 300mm f/4, so some extra grip is always welcomed. Talking about extra grip, your right thumb will find a little treat when holding the camera. 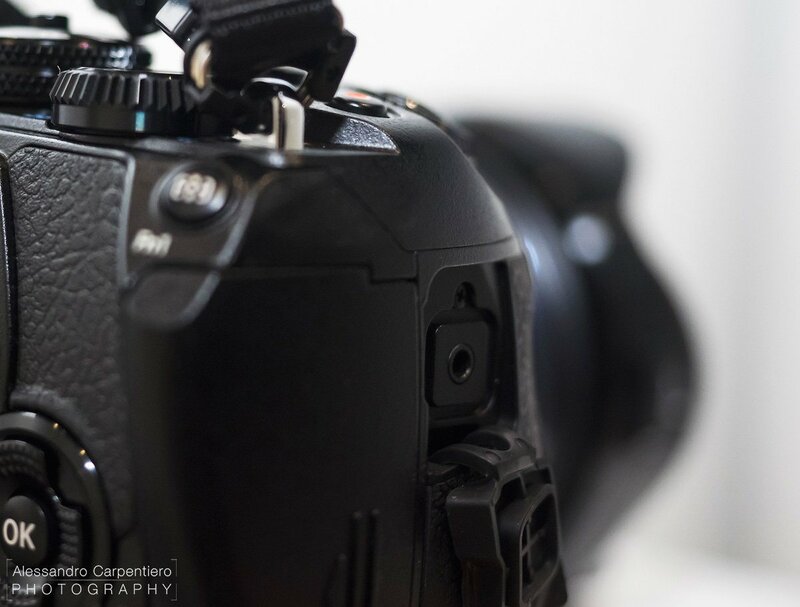 The extreme right of the camera protrudes a little, allowing your thumb to perfectly stay in its place when shooting. I’ve greatly appreciated the tiltable screen of the previous model, but it was not good usable when shooting in portrait mode. The new model has a fully-articulated screen, which will allow you to move the screen wherever you need to; videographers will surely appreciate it too. The fully-articulated design also keeps the screen safe from scratches when folded. I’m just wondering how will it be possible to comfortably hold the camera when shooting at waist level (which is pretty useful in some situations like street photography), but it’s probably a matter of habit. If you’re someone that needs to quickly change from one shooting situation to another, you’ll definitely gonna love this. You will be able to set 3 customized shooting modes; as an example C1 for fast action, C2 for panning, C3 for details. Tons of clicks to tweak the settings = more pictures taken at the right moment. We all rely on technology, but we should always remember that things can break, and SD cards do too. Especially right after taking a shot that I was waiting for a long time, or after a big shooting day, I just want to run to my computer and download the pictures on other storage units. I’m sure you do too (and if you don’t, please do). Olympus has listened to the needs of the professionals out there, so as you can see above the OM-D E-M1 Mark II has a dual SD card slot. Your pictures will be immediately stored on 2 different units, greately reducing the risk of data loss. 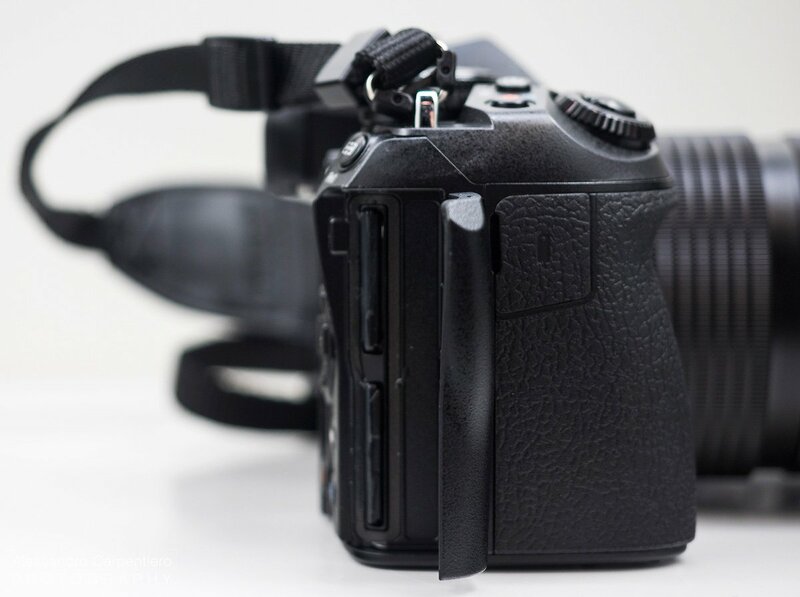 Since the SD cards took all the space on the left side of the camera, the shutter release connector had to be placed on the right. Olympus left the proprietary format seen in the previous OM-Ds, opting for the standard 2.5mm diameter pin. 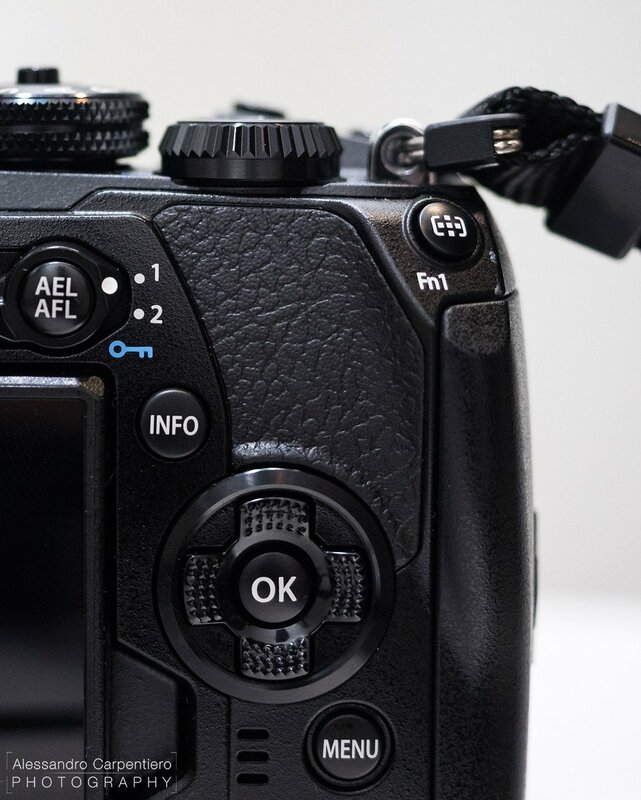 It would have been nice to have the old cable release on the new model as well, allowing Olympus users to keep on using their remotes, but if this was the only option to leave space for the double SD cards, so be it. This new positioning also allows users to mount a custom L-Plate (an accessory to mount your camera vertically on the tripod) more easily, as in the past the cable of the remote was in the way. As seen already in the OM-D E-M5 Mark II, it will be possible to create ultra high resolution pictures thanks to this really advanced feature that “precisely moves pixels at 0.5 pitch to capture a total of eight shots and then composites them into a single 50Mp equivalent ultra high-resolution image”. 80Mp RAW, 50Mp Jpg: crazy right? There have been some rumors saying that this mode would have been usable also handheld, but it will not (as clearly stated in the menu above). I’ve tested it myself just to give it a try, and indeed it was not possible to achieve a sharp result without a tripod. The process though is very fast and ultra silent; I can’t wait try that on a landscape or an interior shot! 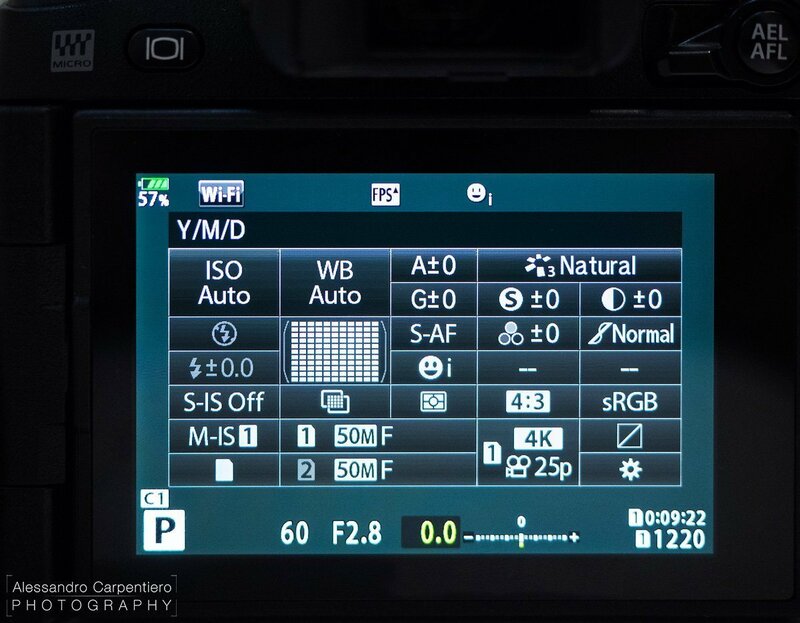 If you’re not familiar with the “Super Control Panel” by Olympus, it’s a screen mode which allows you to have all the important settings of the camera in the same page. It’s really handy to use, as you can change basically everything without having to go through the menu. It has been redesigned, introducing additional buttons for the new functions. 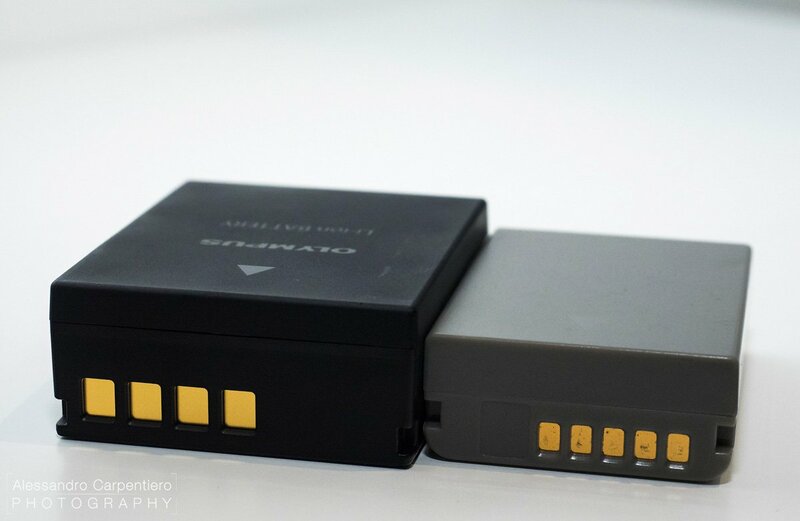 When building a camera thinking about portability, some compromises need to made, and this happens quite often with batteries (just think about smartphones for example). 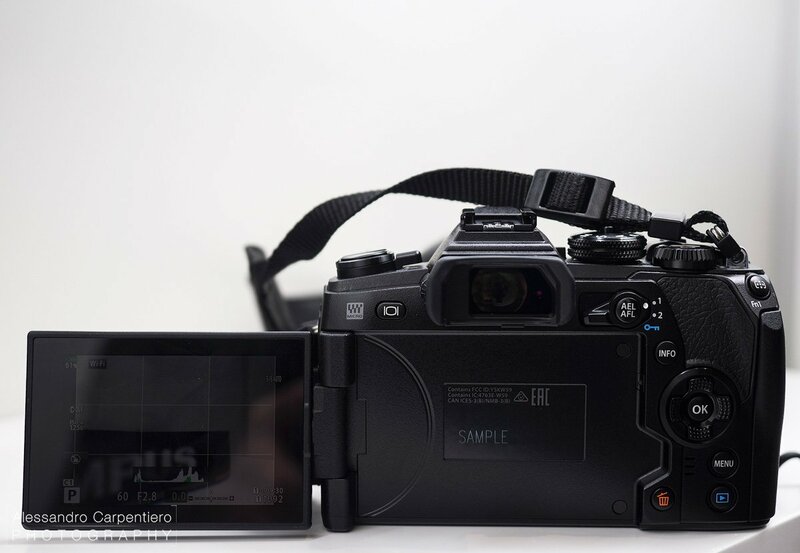 So if compared to big DSLRs obviously, the battery life or the previous E-M1 was just ok. 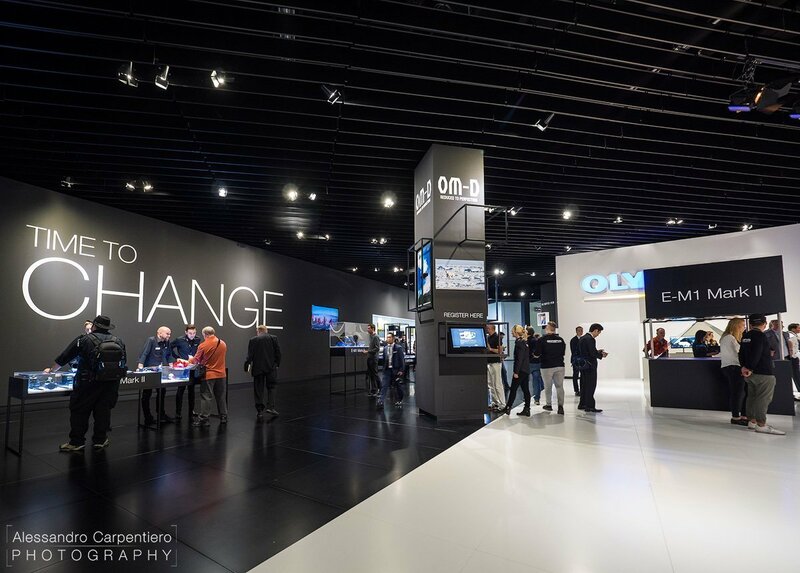 The OM-D E-M1 Mark II introduces a new, bigger and 37% more powerful battery: the BLH-1. 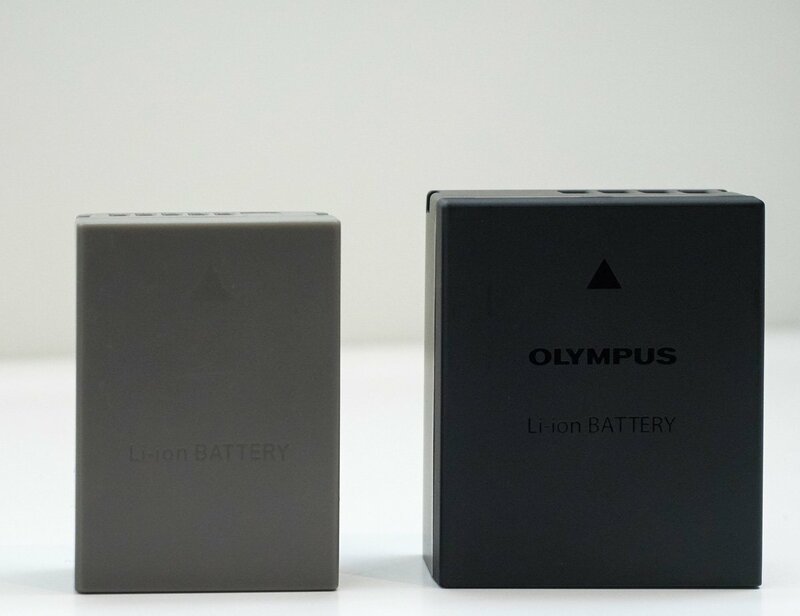 The previous battery (BLN-1 )was also quite slow to charge; gladly the new one charges 50% faster than that. I personally always shot with the battery grip, and with that I could go through 1-day assignments easily, shooting several long exposures, bracket shots, ecc. Without using the battery grip I would have had to swap battery during the day (not a big problem), but sometimes it happened to find myself with a discharged battery in an important moment, because the battery indicator just displayed 4 little segments, without giving a precise idea of how much battery I had left. Things have changed now, as you’ll see the exact battery % status on the screen! The battery grip has also being renewed; it now has the same arrow dials that you find on the camera, making it possible to easily move the focus point also when shooting in portrait mode. TruePic VIII image processor and 20.4 Megapixel Live MOS sensor. I was a bit skeptical to have 20 Mp on a Micro Four Thirds sensor, as I was worried about more digital noise and diffraction problems at lower f/ values, but I trust that Olympus increased the resolution without sacrificing the overall quality. We still don’t have test pictures to analyze, but engineeres say that the dynamic range is improved, with noise performance improved by 1EV. As seen above, the camera will be able to produce 50Mp High Res. 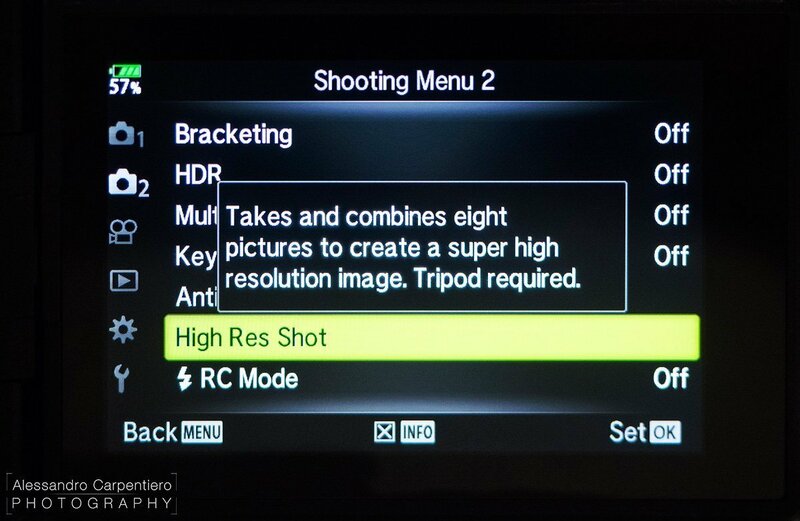 Shots with its unique sensor-shifting technology. There are now 121-point all cross-type (On-chip Phase Detection AF sensor) focus points. That’s really a lot, and thanks also to the Dual Fast AF (Phase Detection AF and contrast AF) will ensure much faster and precise focus in difficult conditions, such as wildlife, action, ecc. If you need to capture fast moment, the improved 18 fps high-speed sequential shooting performance in AF/AE tracking will be your best friend (60 fps in S-AF mode). The 5-axis Image Stabilization is one of the features that I love the most about the OM-D system. It works crazy good allowed me in the past to shoot up to 1″ handheld with wide angle lenses. The camera supports Digital Cinema Standard 4K (4096 x 2060 pixels), frame rate (24P), and high bit rate (237 Mbps), becoming an interesting choice for videographers. 4K videos recorded on a 5-axis stabilized sensor sounds darn good. The lower ISO value (when selecting LOW) is now of ISO 64 instead of 100. We still don’t know how it will perform, but it will definitely make life easier with long exposures or when shooting wide open in bright day with very fast lenses (as the new 25mm f/1.2). The normal sensitivity has been brought up to ISO 6400. As the previous model, the Mark II features high-level hermetic and weather-resistant sealing. The OM-D E-M1 Mark II keeps all the good from its predecessor, introducing a wide range of little improvements together with a few new features. Taking each improvement singularly doesn’t make a big difference, but summing up all that you’ve seen above, it’s clear that this is a new product, where a lot has been done to push the limits of this system even further. If the E-M1 was a great choice for travel photographers like myself, the Mark II will also make wildlife, sport and studio photographers interested into the OM-D world, where cameras and lenses are designed together to achieve the best possible results. Do you want to miss some update? Of course not, so make sure to sign-up to my Newsletter! Thanks a lot for the comment Martin! I definitely agree about the 3 customizable dials; very useful indeed. I am so Excited for this camera and I hope Olympus delivers on the statements in improved sensor IQ. You said you took a Hi-Res shot and i was wondering if you know how fast that process now takes. I found the Em5-ii to be too slow for most scenes as it had too many movement artifacts. Thanks for the great review! I hope so too Matthew; we shall wait and see. I’ve taken some Hi-Res shot, and I must say the process was very fast. I’d say something like 2-3 seconds maximum for both shooting & processing. Glad you’ve liked the article! Is there now an automatic Panorama function? I guess not. I don’t have a precise info about that Alex; for panoramas in general I always prefer to take single portrait shots and stich them together later in Photoshop. Alessandro, that’s good news about the improvements on the IBIS. Do you think these improvements would allow me to hand hold my PanaLeica 100-400 solely using the IBIS of the EM-1mk2? I get tired of having to turn off the EM-1 stabilization and to let the PanaLeica lens stabilization do its thing, if I’m real careful 1/100th of a sec. is sometimes successful. Much more convenient to always use the Oly IBIS, sometimes I forget to turn IBIS off when using the 200-800 equivalent PanaLeica. Thanks for your comment Jonathan! In general, body stabilisation works better at short focal length and lens stabilisation at longer. I assume Olympus have dialled this into the software, hence their equivocal comments when asked which system is used with the new 300mm. My guess is entirely the lens IS but perhaps a mix, if the engineers found that helped, but I doubt it. You don’t have to turn IBIS off when setting “lens IS priority”(think is called that) to on as is then does that automatically when using panasonic lenses with OIS. When you disable OIS on the lens(switch) then IBIS comes back on again automatically also. The two SD slots are not the same [due to memory capacities] and as far as I understood you can make a choice whether or not to make a direct copy from one to the other. Still not possible to load the camera battery via usb. After 2 years using the Em1 I jumped to the Fujifilm XT-2. Sold all my Olympus gear taking the fincial hit and bought Fuji gear. Had for 2 weeks now and am loving it. The images are superb. The absence of noise even at higher ISO is truly awesome. Did you notice much difference between the 2 RAW files? As the Fuji has a bigger sensor I’m sure it can handle noise a bit better, but I’m curious to see real-life samples of shots taken with the Mk II to see how it performs. What about low light and long exposure shooting. I constantly shoot long exposures with the E-M1 and it performs very well; the in-camera noise reduction does a great job. Olympus says the performances in low light improved of about 1 EV. We’ll see in real live how it’ll be; can’t wait to have one to test! Where is the USB-C port located? As for the USB-C port, I didn’t see it. I didn’t have much time with the camera 🙂 As i’ve checked the 2 sides, I guess it could be located on the bottom part. Like the side articulating screen is now making it impossible to quickly drop camera to waist level and tilt screen upwards while doing so, get the shot and then just raise camera back to on eye while tilting it back to rear. Every angle where the camera is now required to have a screen tilted upwards becomes far more challenging because the screen is always on the way of the left hand for correct camera handling position, requiring now to actually kneel on the ground to get hand correctly under the camera. And if you try to put hand over or around the screen to lens, you don’t have correct grip and stance that causes shaking and handling for correct panning and view, you actually block the screen with your arm. And everytime the screen is flipped out, it is huge leverage point and the hinge can very easily break from moderate impact hitting to screen. And they even were required to move MENU button to top of PLAYBACK button, making it more difficult to press when wanted to get to menu (rarely needed but still) and can be mistaken in the dark. The PLAYBACK button place was nice, as you could (not unintentionally) press the button with palm and get playback without moving fingers while looking through EVF. This makes huge difference now as both buttons are on same area (under palm) and you can’t anymore firmly squeeze palm to body to get playback. And then comes the typical compromises that video users always say, but never realise why they are bad. Now the screen is required to be flipped out everytime you want to use it. And you have the microphone and headphone jacks directly behind the screen, making it impossible to use screen or those cables. This ain’t problem for professionals or people serious about video, as they are anyways using external video recorder so they get the 4:2:2 10bit video from HDMI port and they use external 7″ screen to be able see clearly what they are recording and especially if any log/flat profiling is in use, the recorder will correct it for final look. People who are serious about audio, will use external recorder and not integrated ones (no matter even when has best Olympus integrated microphones in it on the market) and those external recorders has the headphone jacks for observation for those who can’t read the audio levels and adjust the clipping protectors correctly. And there is no reason to put audio to video file itself from the external recorder as having a 24bit 96Khz BWF that allows easily just to drop WAV (uncompressed) to Olympus videos and get automatically synced as both have correct running timecodes in them. And serious about audio and video will want a 2ch or 4ch 360 degree recording capabilities. Just impossible with the in-camera. And the in-camera audio (as stated, Olympus has the best ones) can always be used for syncing with even older external recorders that don’t have timecodes and you always have this way duplicates of audio sources, one from camera and one from directly from interviewed, spot or surround. So why to even put those Mic- and Headphone jacks in to the body when people serious about audio and video will not use them? Because wannabe and ultra-low budget people think they really need those! And then the screen protection, never got multiple OM-D bodies (multiple E-M1 in gear catalog) to suffer from scratches on LCD that would be visible if not really searching from them. So if wanted to improve already hardened screen, just add there 2.5D glass on it and call the day. There is no need to flip LCD around as the damage that would break the current LCD, will come through the LCD rear panel as well or damage the whole unit anyways. The side articulating screen is as well just bad. As would have been faster to put NFC in camera to quickly pair camera and phone so in 1-2 seconds the phone could show the live view and allow to get the shot in any angle. Now think about it. You are anyways using a light small lens when doing such awkward angles with one handed. And you would not need to kneel or anything as phone in your palm is your screen. And this works amazingly well in YouTube vlogging or such where you have camera with 45-150mm (for perspective) on tripod filming you, and you are trying to see something from that 3″ display at side of the camera? How about having the smartphone in front of you (or on your lap) or even 10″ tablet, and you use that for starting recording, stopping, adjust exposure etc. And one of the annoying things in the videos is that when person chimps to the right side of the camera of the screen, instead purely focus to the lens with straight eye contact. THis is why side articulating screens should always be closed so you don’t do that, it is even more pleasing to look above or under the camera slightly than to side. So those who are serious about video or audio, will use external recorders, external displays and they even use external camera jigs that will allow them handle camera easier and there the screen is then set to above jig instead trying to look from side. Then comes the other compromise like the 2×2 leveler is now on other side, further from the rear dial. The one great speciality in E-M1 was to able quickly without moving thumb so much to switch front and rear dials from SS and A, to WB and ISO, and then quickly back. Now you need to move the thumb over the AEL/AF button to do so, slowing down in time critical moments. And serious people about photography don’t use S or A modes but M modes, as the EVF will show the exposure and you can faster and easier control the exposure (or brightness) while in fast action by dialing the value you want to use for it (SS, A or ISO). And when shooting C-AF, it is simply better to use a L-Fn button to “Stop C-AF” or put example front Fn button to “MF/AF” where you can easily switch between those two. And people who are so custom to “Focus and recompose”, should simply learn to do it correctly. Either use a face detection for models, use a tracking mode or simply press a Fn button and use rear / front dial to move AF point up/down or left/right. It is faster than any joystick or touchpad AF or so because you don’t need to loosen grip or move thumb to do so. It works great in fast action like sports. And you can do that without even looking at the camera! When you learn that the AF point grid (in E-M1) is 9×9 and from center you have 4 positions to go to any direction, you can at any time press one Fn button to move AF point to middle (it swaps between center and your own chosen position) and then press second Fn to move AF point to area where you want it, without looking camera or remembering where it was last used (if you remember where it was, then you don’t need to reset it to center). This is excellent thing in street photography where you walk camera in your hand, you see a moment and composition and you just press Fn button while you raise camera, move the AF to location you want it to be on screen and when you see through EVF, it is there already and you just need to focus and shoot. 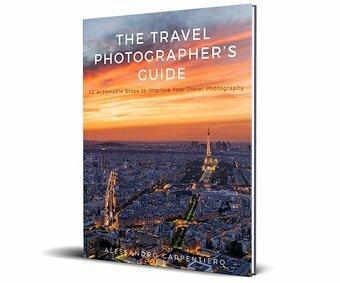 This makes using a narrower field of view lenses very easy and fast (street photography is often better to be done with 45-150mm focal lengths as you can get special moments that you don’t get with 12-17mm). The new right side strap lug position, it is just bad. It was a compromise because people wanted the dual card slots and there was no space for it if the lug was on right side. Well, now it is on the camera, between Fn1 and REC button and this is bad for video users who want quick moments or “gun and run”. Because the best handling for video was where you moved thumb over the body so it can press REC button, and move index finger (and rest) on the grip, under the shutter button. Very slight grip tilting but it makes camera more firmly holded and stabilize the camera even more, and you can start and stop recording with thumb. Now the strap lug is between this and you can’t do it comfortably (without strap) or easily at all (with the strap). The dual card slots are interesting that many forgets how they operate. Slot 1 is UHS-II rated. Slot 2 is UHS-I rated. There is big speed difference. And these card slots works in sync. Each frame is written simultaneously to both cards and the writing speed is dependent from the slower card, in this case the UHS-I card in slot 2. If you don’t want to get “backups” (real backups happens by rotating multiple cards in the camera, not by having dual slots) then you anyways need to use slot 1 to get the UHS-II speed. And you want to use Slot 1 only for everything as you then can do the 4K, you can do fast short bursts without filling the buffer etc. Benefits comes with these dual slots, like now we likely (assumption) can use camera HDR or Focus Stacking with just raw, so the raw files are written to Slot 1, while final JPEG is written to Slot 2. This way we can pull Slot 1 card out, enable WiFi and copy easily the final files from Slot 2 card to smartphone for sharing online. What Olympus should have done (IMHO)? 1) Get Fuji X-T2 screen. They can still do it if they are under development (and not under production). 3) Keep the AEL/AFL button from E-M1 but add one Fn button more to front (so there would be three instead two). 5) Add NFC and Bluetooth 5.0 for quick pairing, image transfer etc. 6) Add GPS and Compass for (wildlife, sports, action, street) photographers who use camera mobility (size and weight) and just needs that geolocation. Even the cheap TG4 has it, but not their flagship for wildlife photograph? (You want to know where you saw some fauna, where the specific flora growed etc) Without having smartphone all the time On. Many thanks for the review. I’m really waiting for this camera. I also do quite a bit of long exposures. Regarding the high resolution capability, I understand that they managed to reduce the artifacts produced by slight moving objects like leaves or water. Do you know something about this? Thank you for your appreciation. I still didn’t have the chance to try the camera in my hands, but from what I’ve seen the artifacts produced by leaves and water are definitely improved compared for example to the E-M5 MkII. Alessandro, many thanks for the wonderful review. I am currently using the E-M5 Mark ll and don’t really do action or sports type photography so I don’t think that I have a need for the 121-point all cross-type AF in this new E-M1 Mark ll body or the dual SD card slots. Aside from those two features do you think it is worth it for me to consider upgrading my body? pardon the late reply but I was super busy 🙂 I am very glad to hear that you’ve appreciated this article! 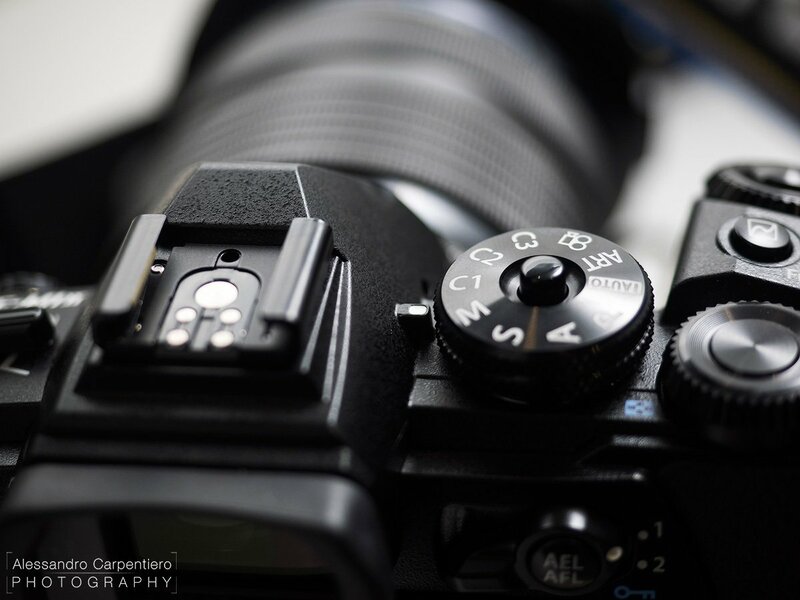 The E-M1 MkII is definitely a great camera, but not all the users will find it essential for their photography style. In general is a great upgrade from the past, pretty much faster processing the images, and with an improved IBIS, ISO handling and several other things. So if a faster camera isn’t what you need, I think you can stick to the E-M5 MkII and wait for its upgrade in the next couple of years 🙂 In case you use frequently the high res mode though, the E-M1 MkII should have addressed most of the artifacts issues that there are on your camera, so in this case an upgrade to the E-M1 MkII would be a good choice. Any word on when this camera will be available? I would really like to get my hands on it. The rumor is they are having supply quality problems with the new sensors. How many lenses come with the camera, I remembered Olympus E-620 comes with two lenses (14-40 & 70-300)? the camera can be bought as a body-only (http://amzn.to/2iKYvVf), it does not come with any specific lens as far as I know. I would recommend you to get the 12-40 f/2.8 (http://amzn.to/2iP0D0X) or the 12-100mm f/2.8 (http://amzn.to/2iP3lDE) as an all around lens with very high quality, which is definitely what you need to use with the E-M1 MkII. In case you want a longer range, then go with the 40-150mm f/2.8 (http://amzn.to/2iKQQGQ). 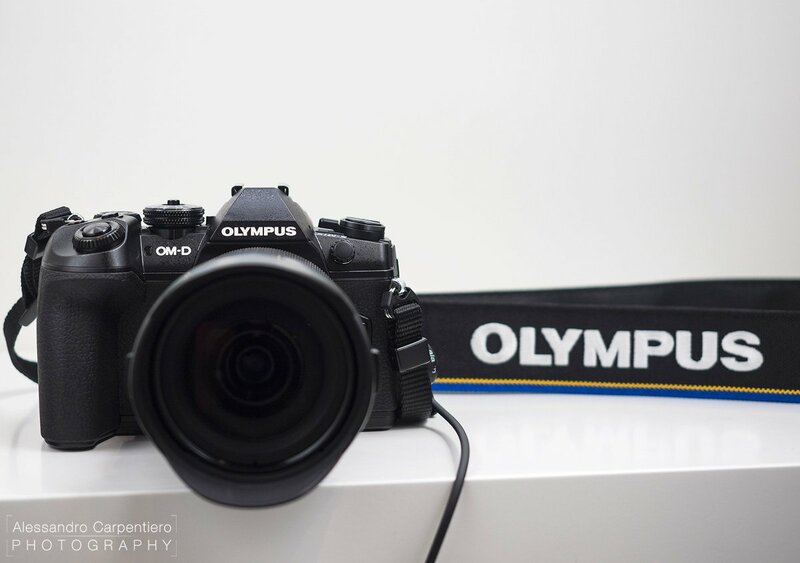 Hello, Alessandro I jus received my olympus omd em1 mk2 Dec 12th 2016.
when the door is locked. I thought at first that something came loose on the camera. When my thumb is on the thumb grip and parcally on the plastic door it moves slightly fractionally. slot door. thank you for you time. Cheers Mike hope to he a reply if you hear any info on this issue. thank you for your comment, and congratulations on your purchase! Really good review. Thanks for putting this together.